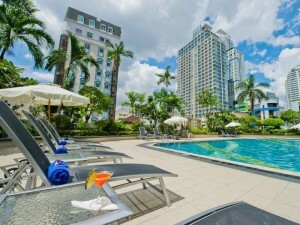 President Palace Hotel is a large four star hotel on Sukhumvit Soi 11. The hotel, which was built in 2008, has great facilities including a huge outdoor swimming pool that receives plenty of sunshine during the day and a good gym for hotel guests. 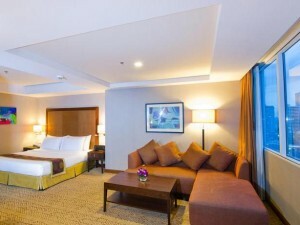 Rooms are spacious and clean, with comfortable beds and high quality furniture. The hotel has several restaurants and bars serving Thai and international cuisine. Rooms have free Wi-Fi with good connection speeds. President Palace Hotel is located about halfway down Sukhumvit Soi 11, making it quieter than other hotels located close to the BTS station. From the hotel, it’s about a five minute walk to Nana BTS station.